San Francisco interior design icon Suzanne Tucker believes that by surrounding ourselves with what is beautiful, we enrich and enhance the quality of our lives. With that in mind, she has launched an extraordinary array of beautiful home furnishings, starting with an exquisite fabric collection that is sold in showrooms across the United States, a collection of dinnerware called San Marco for Royal Limoges, outdoor furniture and textiles for Michael Taylor Designs, mantel pieces for Chesney’s and bed linens for Julia B. Future Suzanne Tucker Home collections will include wallpaper, lighting, and furniture. Suzanne Tucker is recognized today as one of the country’s leading interior designers. She and partner Timothy F. Marks founded Tucker & Marks in 1986, and the firm has long been considered one of the most respected and successful interior design firms in the U.S. 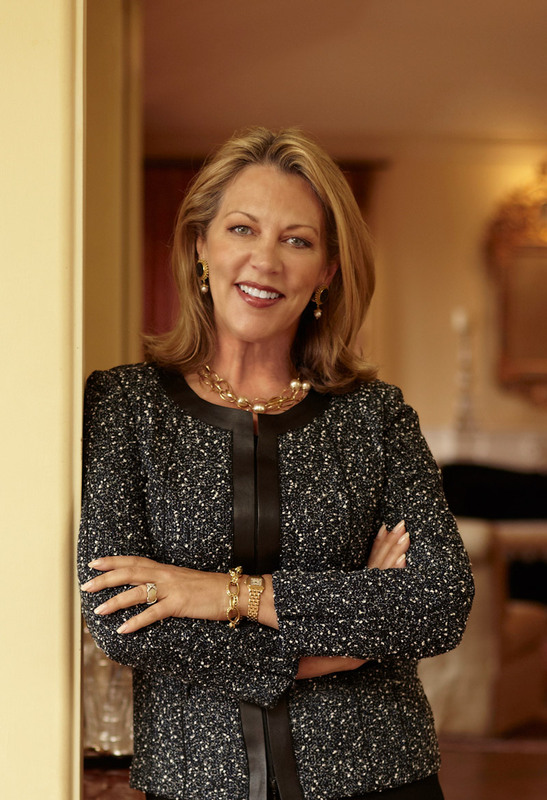 Architectural Digest has repeatedly honored Tucker as one of the AD100 Top Designers of the World and her work has been featured in international magazines and numerous books including her own books Rooms to Remember: The Classic Interiors of Suzanne Tucker and Suzanne Tucker Interiors – The Romance of Design. Tucker is often asked to lecture on her work incorporating antiques, textiles & the decorative arts, a beloved subject matter. She is passionate about architecture and design and strives to “create beauty and serenity” for every client. She finds that travel and the diversity of cultures enhance her passion and knowledge and inspire her in the creation of unforgettable rooms. Tucker launched Suzanne Tucker Home in 2010 with her premiere fabric collection which encompasses interesting and diverse weave structures and luxurious colorways. Tucker approached the compilation of a fabric collection from the point-of-view of what designers would desire and seek out for decorating a home.